On this page we consider the Medicine, strictly the Golden Elixir and the Medicine Room – in effect our own body. When the Taoists spoke of the Golden Elixir, they referred to a learnt ability to nurture and develop health and wellness within our own physical body. To work with our own bio-chemistry to fashion physical and mental health. Yes, they were far in advance of many peoples in making use of ‘biofeedback’. It starts in quietness…and listening…. …..it is pretty clear now that the early Taoists in China were explaining, as best they could, a newly-discovered method of preserving health and extending their lives. This was couched in the language of the times – a kind of cultural accretion. Consider the opening lines to Chapter Sixteen to the Tao-te Ching :..
All things flourish, each one returning to its root. Returning to the root they are at peace, this means they return to life; returning to life they are eternal. 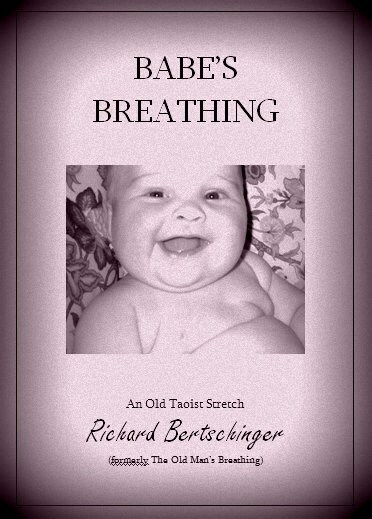 This could be seen as philosophical….but it is not just: as the other chapters explain, it describes an intimate, personal experience – cultivated through a technique of softening the breathing, in and out through the nose and mouth. They had discovered the psycho-somatic effects of deep relaxation, and autonomic self-regulation. (Sometimes this was called ’embryonic breathing’). Literally they had learnt, through deep Yoga, to control (viz.self-control) their own body bio-chemistry – to heal themselves and perpetuate life. No mean feat. My translation of the Tao-te Ching (Amazon link) reveals it as a manual on qigong practice, i.e. the regulation of breath, mind and body, as a unity – as one vehicle, for life. As an example follow this link, to a new page giving Chapter Sixteen in its entirety, or find it through the drop-down Menu above. Here on this site you will also find an opportunity to download the whole of this work, The Book of the Way and Its Power, (also called the Dao-de Jing) as an e-book. Here’s is one I put together earlier! An Old Taoist Stretch Download the eBook below for £3.99 (link updating next week!with pictures!). Payment secure through Paypal. Contact me if you have questions. Thank you.